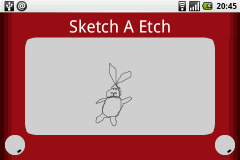 Sketch-A-Etch - Draw by turning knobs on your Android phone. Don't miss this app, download the new Colorindo totally free! If you love peace symbols and like to draw, Peace Draw is the app for you!